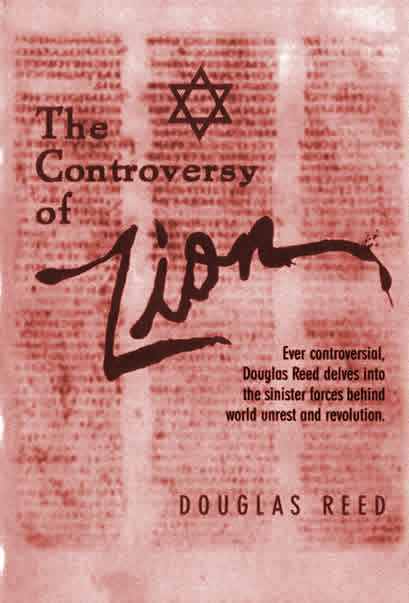 "For it is the day of the Lord's vengeance and the year of recompences for the controversy of Zion"-- Isaiah 34:8. "An event has happened, upon which it is difficult to speak and impossible to be silent" (Edmund Burke, 1789). Torrance CA 90505 United States of America. The Israelites were not "Jews" and had never known this "Law"
"Only he who knows my secrets is my son"
Religious intolerance is the basis of this "Second Law"
How can the same God have enjoined men to love their neighbours and "utterly to destroy" their neighbours? "We Jews, the destroyers, will remain the destroyer forever"
"All the people wept when they heard the words of the Law"
"Pharisee" means "the one who separates himself"
"Ye hypocrites teaching for doctrines the commandments of men"
"Ye serpents, ye generation of vipers"
"Thou art not Caesar's friend" - sounds familiar? The crisis of "the West"
The golden age when "history may be resumed"
Gentile authorities carry out the Talmudic Law! Cursing and of the evil eye is still part of "The Law"
"Let Germany share the fate of Spain!" "We are still a nation within nations"
And they shouted on the streets: "Liberty, Equality, Fraternity"
Talmudic Judaism is "the worship of Moloch"
Bakunin, "the father of Anarchy", was "a disciple of Weishaupt"
Bernard Lazare's definition of "antisemitism"
The origins of the "Protocols"
World Wars and non-elected, unofficial but imperious "adviser"
Freemasonry as the best "cover"
Stirring passions about "Chinese slavery"
World War One - restoring "freedom and democracy"
Who was to exercise the ruling power in America? A plan to gain the vote of the "foreign-born"
Resistance to the plan would be met by "universal war"
Where italics have been used in this book they have in all cases been added by the author, to direct attention to a word or passage which he holds to be of especial importance. Where a passage is quoted without its source, it is taken from the last authority previously quoted. Extended edition contains the detailed table of contents outlining all the issues discussed. Some emphasis added and paragraph formatting changed in some cases to facilitate fast reading and easier location of the most significant points. Otherwise, the text is the same as the original. John Todd, the Illuminati and Witchcraft!